How to make a Crib Sheet directions can be found here. 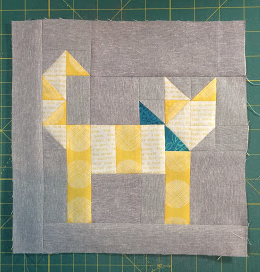 I have a tutorial for the cat block from my header and you can find it here. No Exposed seam pillow case tutorial can be found here. Fold and Sew Square in a Square Block tutorial can be found here. 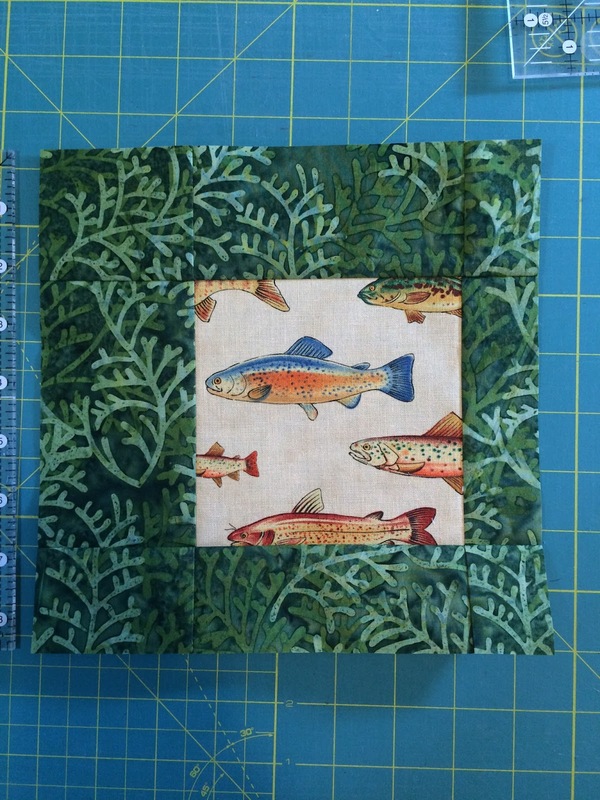 Two Color Binding Tutorial can be found here. 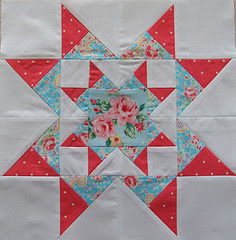 Fiesta Star block from the FQ Star QAL. Tutorial is here. How to make spruced up dish towels. Tutorial is found here. 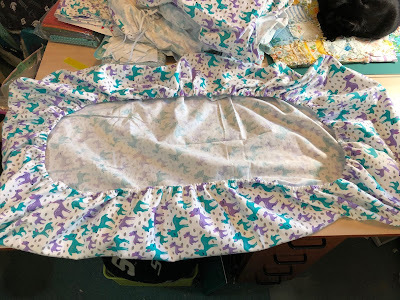 I am making your oink a doodle moo chennille baby blanket and need some advice. The marble blue flannel is only 43 1/4" wide selvedge edge to selvedge edge. 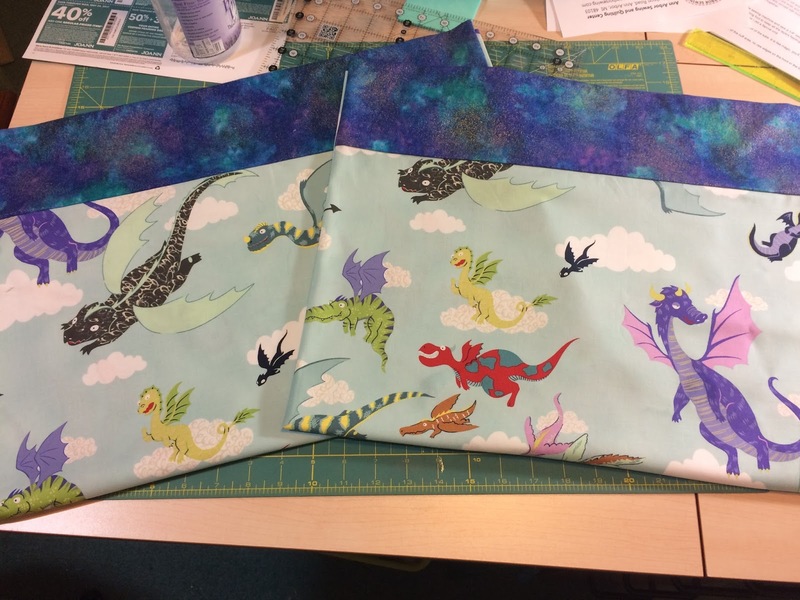 My pieced back is 45" what can I do? Should I cut the back at each end to match the flannel and leave the selvedge edge on the flannel? I have tried to comment previously and am not sure that it has been received. Thank you for your very thorough tutorial. I am a new quilter and love the Oink a Doodle Moo chenille baby blanket. I need your advice/assistance. I have pieced the back together and am ready to layer the flannels. My blue flannel is only 43 and 1/2" selvedge edge- to- selvedge edge, uncut.and my back is 45". Should I leave the selvedge edge uncut and cut my back equally on each end to fit the blue flannel and then shorten the other flannels to match or center the blue flannel lengthwise and layer the other flannels over it and continue according to your directions. Thank you. I tried to answer you via email but you are "no reply" and have no email address in your profile! Just lay your flannel layers on top of your back and baste, sew and clip as in the directions. Then when you are all done, go ahead and square it up. You will waste some of the backing but you want it slightly larger than your flannel. It should all work out. Here is my personal email and please email me if you have any other questions. Great to be back! somehow i stopped getting your news! i enjoyed being in the wicked and bowl blog hops in 2012. What ya got going now that I can sign up for? Pamela, I LOVE this Oink A Doodle Moo quilt, would love to get my granddaughter involved make one with me but I can't find the prints in the Charm Packs as you showed on the Moda sight. Any help? Love your work. The Oink A Doodle Moo line was put out quite a long time ago now and you might not be able to find it. You can use any charm packs though. There are so many super cute ones out there. 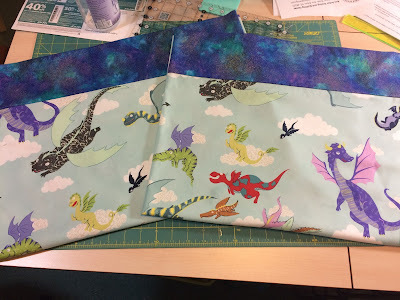 My friend at www.crazyquiltgirl.com has a ton of them and they are on sale plus if you spend $35 and use the code HAPPYJUNE you will receive an additional 15% off your order! Good luck!